ART CLASH WEEK 5: AQUAMAN ICONIC IMAGE!!! 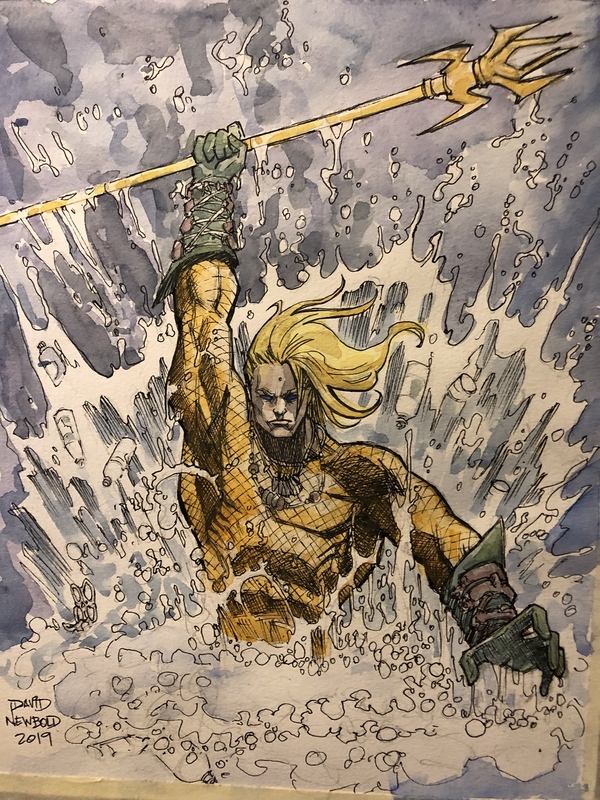 › Forums › THE ART CLASH 2.0 › ART CLASH WEEK 5: AQUAMAN ICONIC IMAGE!!! 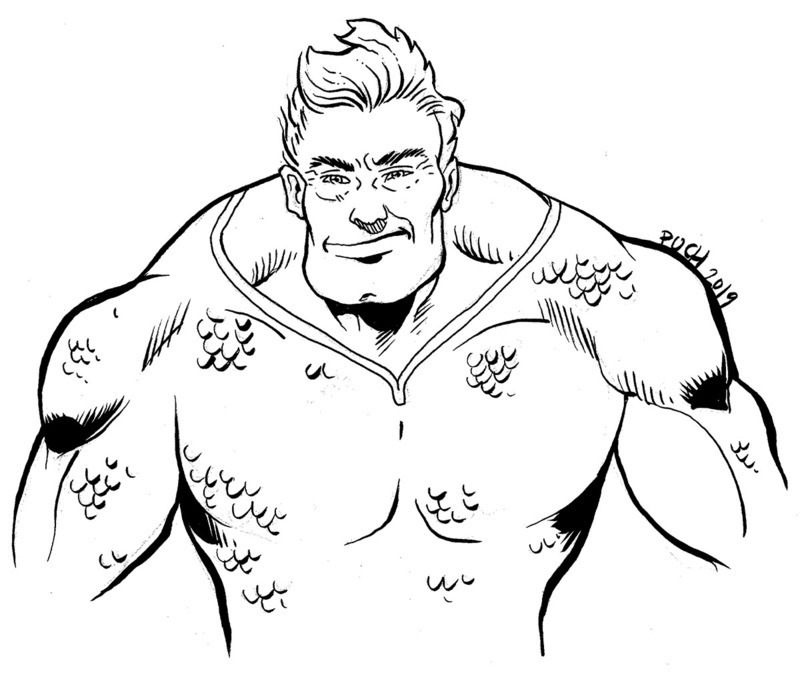 Whose Aquaman rules the seven seas? This topic contains 28 replies, has 6 voices, and was last updated by Daniel Puch 2 months, 1 week ago. 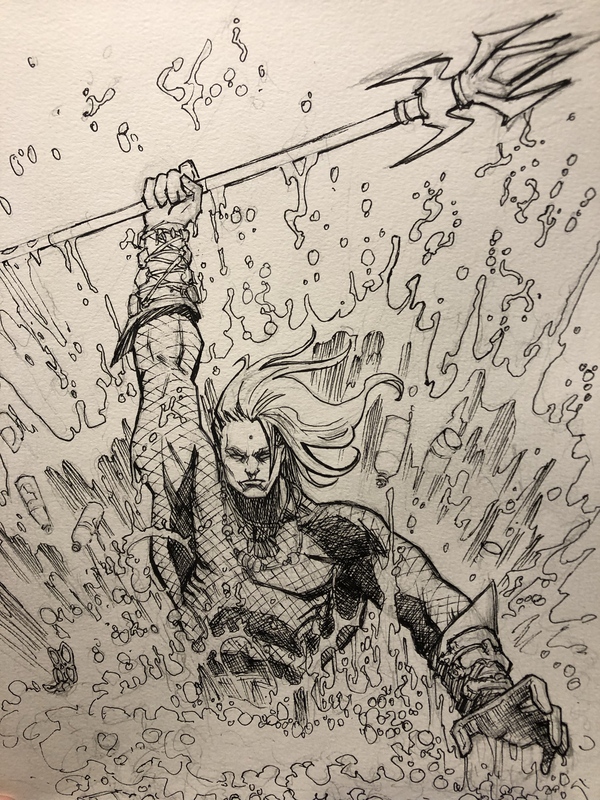 SUBJECT: ICONIC IMAGE OF AQUAMAN AS A DC HEAVY-HITTER. CONCEPT: With the enormous success of the Aquaman film, the character is finally poised to become the heavy-hitter he always should have been. Gone are the days of Aquaman as a fish-whispering joke. DC has (wisely) commissioned you to design an image that will redefine the character going forward. You must use the costume design from the film. I have an AMAZING time drawing this one! I didn’t even want to sleep, I just wanted to draw! #aquaman because I loved #superfriends at one time. Man, who didn’t love Super Friends? 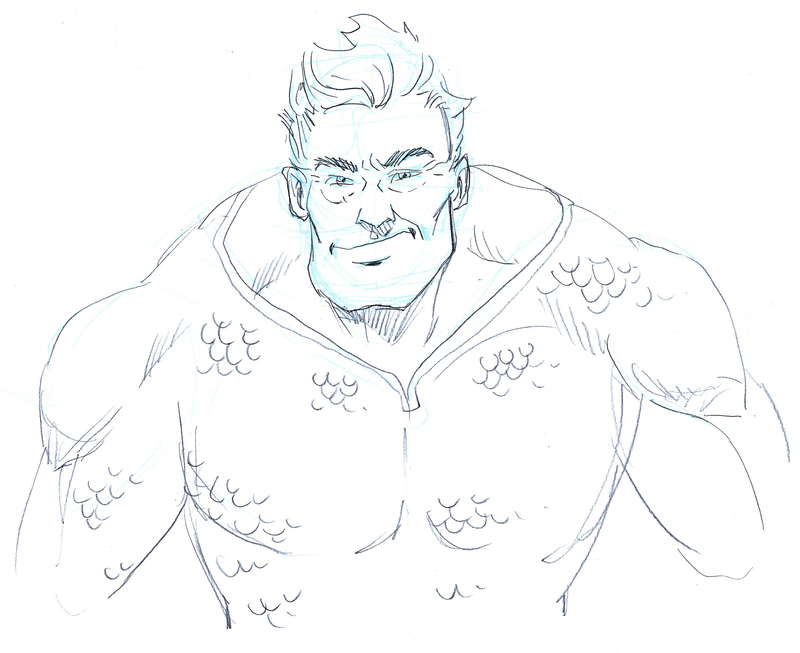 I think this is where I began thinking Aquaman was cool. If I win, I know what the next week is going to be. Everybody will love it. Pencils, if I have time I will upload inks soon. If not, just go ahead with the voting! Daniel, you’re good, man! No worries. Put some more time in to it and see what you can come up with. I’ll try to set up voting later tonight. Thanks Brett! I just edited my post and I added the inked version next to the pencils one. Voting is open. If everyone is having trouble making the Monday deadline, I can adjust it to closer to mid-week. Let me know what works. I have not made the adjustment to the deadline but I say keep it firm. That’s the ideal, but when I’m on deadline I don’t usually make that and have to do the entire thing Sunday night/Monday morning. So I’m thinking Monday 8:00 AM EST is the ideal. The general idea behind the Art Clash–beyond keeping them drawing–was to better prepare artists for producing art on a deadline. So I want to maintain the deadlines, but I’m very willing to flex on when the deadline is, in order to better serve the artists participating. Anyone have an idea they’d like to do next? Ha ha. Me too, but I’ll take the first suggestion. If you haven’t gotten a chance to have everyone go with your idea, now’s the chance. Thank you for the votes. For next week, an iconic image of Michael Myers!!! I’ve only been waiting for a win just because of this idea!!! And it is a rule that you need to listen to the Halloween theme song when drawing! Ha Ha Ha. Ok, ok, Steel. It’s a little out of season, but the subject will be Michael Meyers and the Concept will be suspenseful, drawn-out horror/dread. I like it. It will challenge everyone. Very interesting pick. I will work to get critiques posted by Friday, folks. So please check back in, if you’re interested.